Except, Catcher has his own secrets -- dark, terrifying truths that link him to a past Annah’s longed to forget, and to a future too deadly to consider. And now it’s up to Annah -- can she continue to live in a world drenched in the blood of the living? Or is death the only escape from the Return’s destruction? Why I want it: I ADORE THIS SERIES!!! This is what started my love of zombies. Carrie Ryan is a freaking GENIUS! 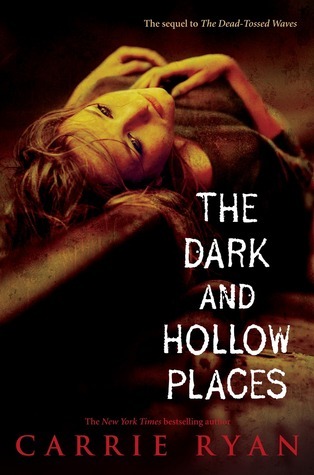 Do you want to read The Dark and Hollow Places? Is there a book you'd like to be featured? Click here to fill out the form and nominate it. If it's chosen you could have a chance to win it! Reading now...and I LOVE it!